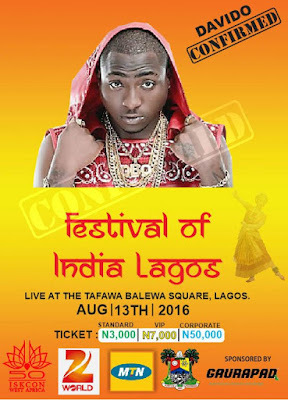 Singer Davido aka omo baba olowo reportedly failed to show up at an event tagged Festival of India Lagos where he was suppose to perform on Saturday August 13, 2016. Rumours were flying around that Davido being billed to perform was a scam by the organizers, but The Punch confirmed from the chief organizer Rosiji that Davido was truly scheduled to perform. The ‘Aye’ crooner had reportedly called the organizers on Friday, August 12, the night before the event was scheduled to take place to cancel on the grounds of ill health. 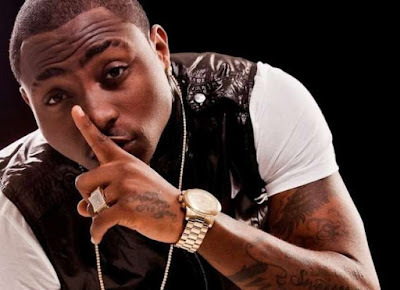 The show organizers have since called Davido’s lawyers for a refund of a reported N7 million naira the singer had been paid.